Extreme Sailing Series 2016 - meet the teams - Published on Mar 18, 2016 - Dramatic change is afoot for the Extreme Sailing Series as we celebrate our 10th season with the introduction of the flying GC32 and an influx of fresh talent. Meet the teams gunning in 2016 for glory. 52SuperSeries - Sea Trials - Valencia - Getting ready for the season 2016! Chuan's Oceans: Part 2 - Week one proves that setting a new record will be extremely challenging as the team heads toward the starting point. St Barth Bucket 2015 filmed by drone from St Barth Fly Cam on Vimeo. 2014 St Barths Bucket Filmed by a Drone from Pigeon Vision on Vimeo. Extreme Sailing Series Muscat - the Best Moments video above - Oman Air storms home to win on sensational final day | News: "Morgan Larson stormed home to an extraordinary win in the opening Act of the 2016 Extreme Sailing Series™ in Muscat on Oman Air, alongside the team, which includes Pete Greenhalgh, James Wierzbowski, Ed Smyth and Omani national Nasser Al Mashari. Together the team won over 50% of the races sailed, more than any other team in Series history, as the Extreme Sailing Series officially completes the biggest transition of the last ten years. The flying GC32s have well and truly arrived..."
GC32s to replace Extreme 40s | News: "The Extreme Sailing Series, the world’s leading Stadium Racing Series, will celebrate its tenth season in 2016 with the introduction of a fleet of foiling GC32 catamarans, which will see the world’s top sailors ‘flying’ in front of thousands of spectators at premium venues around the globe. The 2016 season will again feature a full grid of professional and brand-backed sponsored teams racing at iconic venues as diverse as Saint Petersburg, Cardiff and Sydney." The unforgiving ocean | Volvo Ocean Race - Nine months. Four oceans, five continents. Over 40,000 nautical miles. There's a reason why they call the Volvo Ocean Race the world's toughest ocean challenge - and here it is. A trophy desired by so many, but lifted by so few, every three years, the best sailors on the planet step out of the comfort zone to truly test themselves against Mother Nature. Cork Harbour's Anthony and Robert O'Leary and Tom Durcan have finished in the top eight of the competitive Viper 640 Bacardi Sailing Week fleet. RC44 Bermuda Cup wrap-up: Bermuda's Great Sound threw everything it could at the RC44 fleet for the first round of the 2016 Championship Tour. With a breeze ranging from 5 -25 knots and a race track full of passing lanes we round-up all the action from a week of action-packed racing. The RC44 Bermuda Cup is the first event of the 2016 Championship Tour, which pitts the world's top businessmen and the best sailors in the industry compete in high performance one-design 44-foot carbon racing yachts. Published on Mar 11, 2016. Conch Republic Cup - Racing to Cuba on Bobsled - The race to Cuba onboard Bobsled, a new C&C 30, was truly a cultural exchange through sport. History is being made everyday with relations normalizing between the two countries and sailing is the perfect way to reconnect these two lands (published Feb 17, 2016). New-look NZ flag makes sailing debut: "Kiwi 49er sailors Peter Burling and Blair Tuke both sported the country's new possible flag design as well as the original design during their training yesterday..."
Some of New Zealand's Olympic sailors and Rio hopefuls will be flying the alternative flag design ahead of the New Zealand flag referendum decision. Man found mummified on sailing yacht died from heart attack only 1 week prior - AOL: "...The recently revealed autopsy results confirm the man had, as investigators suspected, died of a heart attack. That fatal event occurred only about a week before the vessel was discovered floating in the waters off the coast of the southern Philippines. Forensics experts explained to a German news outlet that rapid mummification can occur in environments such as the one where Bajorat was found. When combined, tropical temperatures, salty air, and dry winds serve as accelerants in the preservation process..."
Two different boat shows--other than Strictly Sail Miami, Miamarina at Bayside-- take place during Presidents Day weekend in Miami and Miami Beach, Florida, Yachts Miami Beach and the Miami International Boat Show. This year Yachts Miami Beach brought in more visitors and bigger boats during its run Feb. 11-15, organizers said Wednesday, according to the Sun Sentinel. Formerly known as the Yacht & Brokerage Show, Yachts Miami Beach attracted 5 percent more boats on display, including 22 yachts over 150 feet long — double the number from last year, according to Show Management, which co-owns the show with the Florida Yacht Brokers Association. In addition, hotel room nights specifically related to the show were up 2.24 percent over last year, with the average length of stay increasing to 4.42 nights. The Miami International Boat Show, owned by the National Marine Manufacturers Association, took place at a new location this year on Virginia Key, and the reviews w ere "mixed" (see comment below). Reportedly "whether the show will return next year [to Virginia Key] won’t be known for weeks, and perhaps months." The RC44 Bermuda Cup is the first event of the 2016 Championship Tour, which pitts the world's top businessmen and the best sailors in the industry compete in high performance one-design 44-foot carbon racing yachts. 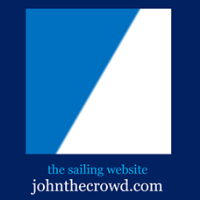 World Sailing undertake full review of the Sailing World Cup : World Sailing: "At the February 2016 meeting of the World Sailing Executive Committee in Rio de Janeiro, Brazil, it was agreed that a strategic review would be undertaken of the Sailing World Cup from 2017-2020 in order to ensure that the event series remains the best possible showcase for the sport on the journey to the Tokyo 2020 Olympic Games. The review will be concluded and proposals presented at the World Sailing mid-year meeting in Lausanne in May 2016. The comprehensive review will include considering continental representation, calendar and venues, events, sailor quotas, ranking points, Para World Sailing and the role of known and future Olympic venues within the calendar. Sailors will continue to be placed at the heart of the Sailing World Cup, ensuring it is attractive to athletes, commercial partners and the media. It was agreed that any existing World Sailing contracts with Sailing World Cup Organising Authorities for 2016 would be honoured. World Sailing Chief Executive, Andy Hunt, and World Sailing President, Carlo Croce, met with Abu Dhabi organisers at the end of February. Following the World Sailing Executive Committee decision in November 2015 to host the 2016 World Sailing Annual Conference in Europe rather than Abu Dhabi, the Abu Dhabi Tourism Authority took the decision to withdraw their financial support of the 2016 Sailing World Cup Final and future editions of the event. World Sailing will seek a venue partner for the 2016 Sailing World Cup Final and contractual discussions are ongoing with an alternative venue. World Sailing expect to confirm dates for events in the final quarter of 2016 by the end of March." Oman withdraws from hosting youth sailing Worlds due to Israeli participation - Israel News - Jerusalem Post: "Oman has withdrawn from hosting the 2016 Youth Sailing World Championships which were due to take place in December after refusing to submit written confirmation that it is able to guarantee full and equal participation by all, in accordance with World Sailing's Regulations...."
Man dies, another injured in Pittwater yacht crash | DailyTelegraph: "A SAILING veteran was killed today after being struck by a timber beam and thrown into the water in a racing yacht crash which left another competitor pinned under water. Police and paramedics were called to the Royal Prince Alfred Yacht Club in Newport [Australia] about 2.30pm after the vessels crashed in Pittwater, knocking a 72-year-old racer into the water. Friends tonight flooded the club’s Facebook page with tributes to the dead sailor who was racing on his couta yacht. “A great loss of a nice bloke. Unfortunately died doing what he loves doing. RIP mate,” Bob Rayner wrote...."